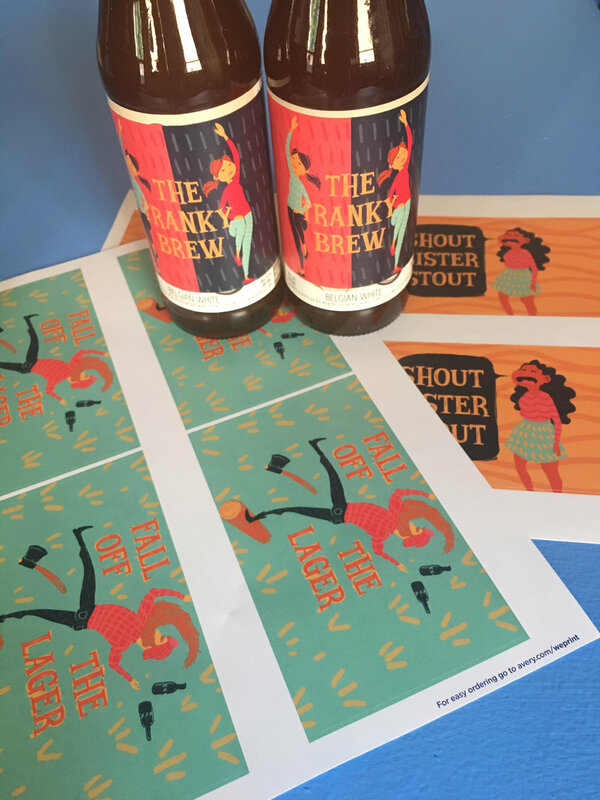 I was commissioned to create beer labels for a friend's birthday surprise. The birthday wanted to simulate a brewery with the custom labels placed over existing beer labels. The images below show the illustrations in action at the party.